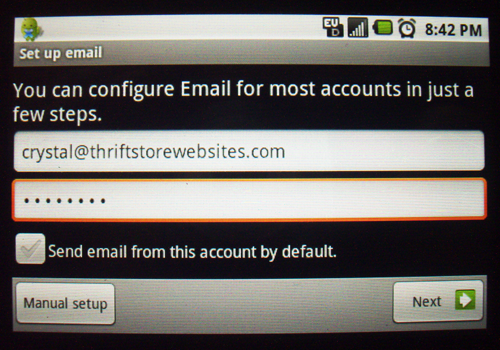 Once you have your emails set up, you can set it up on your Android phone to collect your emails. Open your email client on your phone. Go to Add an Account. Once at the Account setup screen, enter the following information. Note: Your Android phone may be slightly different than my phone, but as long as you use the settings below you should be fine. Enter your Email and Password, then tap on Next. Enter your email for the user name and password. 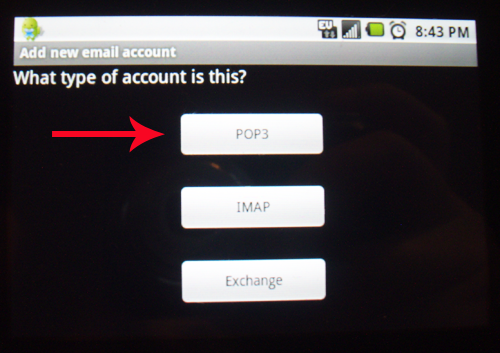 Pop3 server is mail.yourwebsite.com and port is 110. Tap on Next. SMTP is mail.yourwebsite.com and port is 25. Require Sign-in needs to be checked, and your email and password needs to be entered. Select how you would like to receive your email, tap on Next. 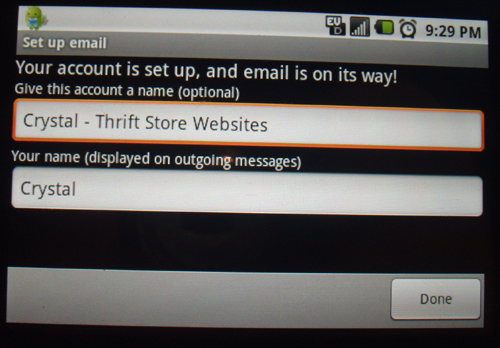 Now give your account a name and outgoing display and tap on DONE! You are all set up and ready to go!